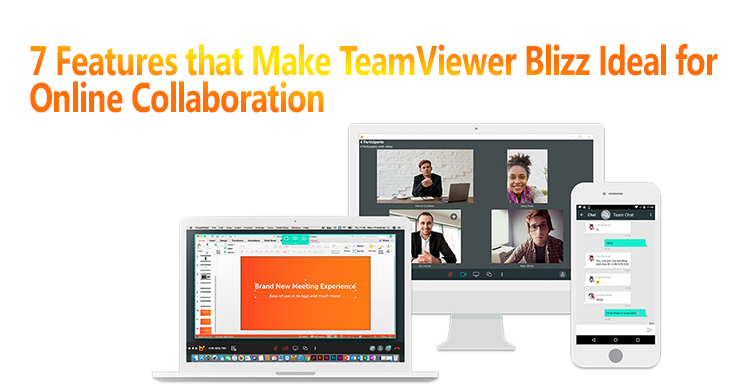 TeamViewer Blizz has been in the buzz ever since it’s launched. It’s a completely dedicated web conferencing and collaboration solution. It has got the attention of a number of businesses. You can add up to 300 participants and it supports MAC, Windows, iOS, and Android devices. But that’s not the only reason why it’s considered an ideal online collaboration tool. Blizz is an attractive tool for both small and medium-sized businesses. It is functional and tailored according to the demands of the modern business world. 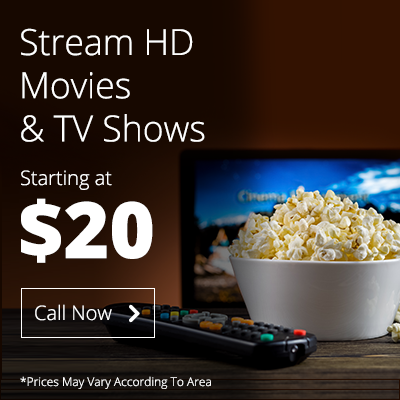 Blizz lets you enjoy high-quality HD audio and video calls making it feel like you are sitting in the same room. It offers all features – chat, VoIP, video conferencing, recording, and screen sharing. There is no doubt about it each enterprise has different needs for collaboration. The size of the company, type of clients and number of employees demand a different level of support. It’s hard to find an app that is a one size fit for all businesses. What all companies look for is a simple and intuitive solution that at least has elementary features. And if you try reaching out for an advanced tool, it’s usually out of the company’s budget. Blizz, however, has made an effort to provide an all in one solution for businesses regardless of their size. So what are the cool features that make Blizz so great for collaboration? Let’s explore them bit by bit. So, yes you can install it in on your desktop and on mobile and use it on the go. It doesn’t even hog much space. Once you have installed it, it connects to MS outlook automatically and imports your contacts. With just one click, you can share the screen, make a voice call or start a video meeting. It also supports team chats for ongoing collaboration which you can continue through the phone. These chats are stored in the cloud. This makes it easier to refer back to your discussions whenever you want. Screen sharing is also possible on mobile. There are lots of tools that make screen sharing possible but they lack clarity. Blizz has made it easier to start high definition video screen sharing sessions. It features an automatic resolution scaling that allows your partner’s and your screen mirrors just right. You will have a perfect screen sharing experience every time. Sometimes, you have to work on projects that require meticulous attention. Blizz makes switching between screens easier than ever. The vivid graphics do not let you miss out on anything. Video conferencing is one great way of online collaboration. But the experience becomes frustrating when the video quality is not crisp. Blizz, on the other hand, claims to make video conference a worthy experience. It supports high definition video calls that can both happen on mobile or desktop. The participants can see each other through the main viewing monitor. When one participant starts speaking, they appear on a full screen. Blizz lets you host a people of up to 300 people at a time in one video call. It allows users to zoom in on anyone. At some point in the meeting, if you feel like you should turn off the camera, that’s possible too. You make the meeting audio only. While conducting face to face calls, you can also share your screen to present the ideas. You will still be able to see everyone through the side panel. This means all participants are connected throughout the meeting. TeamViewer Blizz also features VoIP service. As long as you have an Internet connection, you can make VoIP calls. The audio quality is better compared to other voice networks. The line is not distorted either. The quality of the call depends on your Internet connection though. Both the mobile app and the desktop version support the VoIP calls. There are no surcharges for international calls. It doesn’t matter where you want to call, you are just one click away from connecting with someone. You must be wondering, wouldn’t it be great if TeamViewer Blizz lets you chat with your coworkers, too? that would also be great for online collaboration. Well, that’s possible because it supports that as well. Instead of creating endless email threads that can be confusing for everyone, Blizz Teamchat is a faster way to connect. You can easily add team members to your contact list. Their online status lets you know whether or not they are free for a chat. You just have to click on their names to open a chat window and send an instant message. In case a user was not online, they will still receive a notification the next time they log in. This means, no one will won’t miss out on any information. Blizz also supports group chats. All the messages go in the cloud and you can retrieve them anytime. Another great collaboration solution is to record the conference call. It’s easier to forget the content of the meetings, right? Blizz lets you record them all. You can even capture screen sharing sessions in 4K quality. Apart from the regular meetings, businesses have to host a webinar from time after time. Likewise, training sessions are conducted online too. Blizz’s conference recording feature records everything. The 4k files can be compressed so that they don’t take much space in your hard drive. Members can download the sessions and play them back anytime on their app. Blizz collaboration is great and so is its security. It is built on the same security practices as TeamViewer itself. The public and private keys keep communication secure. End-to-end encryption ensures that no third party is able to steal any communication being exchanged. The attendees can only join a meeting if they are invited. No outsider can become a part of the conversation. Even the extent to which a participant can view the screen is in your control. If you simply want to test this tool, then try out its free version. The free plan supports 5 participants only. If you like it and it meets your collaboration needs, then you can purchase the subscription. The price of the simple plan starts from $6 a month. Blizz is a good option for growing businesses that don’t want to spend a lot of money and use multiple apps at the same time or collaboration. You can start with the basic plan and as your business grows, you can upgrade to the next plan. It makes communication easier and therefore, it’s a great investment for any business. Those of you who still use Skype might want to switch to a better and secure alternative like this one. Previous PostPrevious What Channel is Paramount Network on Spectrum Charter / TWC? Next PostNext What Channel is Starz on Comcast Xfinity?